Army Brat, Army Bride, Civilian: A Life reveals the ups and downs of military living through the experiences of one who was both a sergeant's daughter and an officer's wife. The military teaches many lessons but not how to transition to civilian life after more than thirty years of moving around in the Army, including attending five different high schools as a teenager. While in the Army, families learn to adapt to renting or buying an apartment or house in town or to being assigned a set of Army quarters on a military post. If in quarters, they must not paint walls or install carpet or leave holes in walls where pictures used to hang. Although the Army is a highly structured organization, flexibility is a key word for its families. Dealing with snafus, making decisions which seem right at the time but turn out to be trumped by the demands of the military, adjusting to new places, and making new friends every two to three years are all part of living the military life. Yet the adventure and excitement of this life are evident throughout. This is a book about relationships, responsibility and resolve. The true story of my twenty years as the wife of a regular Army Officer, who had assignments in Japan, Germany and Korea. A story about the relationships and experiences of a group of Army wives during the historic period of World War II and the Korean conflict. The untold truth of how these courageous women resolved thier responsibilities, enhanced the lives of family and friends and endured through the years. Moving from the restrictive chrysalis of "civilized" tradition and Victorian viewpoints in the East, the women who followed their Army husbands to forts in the West made an excursion into a freedom of throught and action that most of them had never experienced or even imagined. "We know that a supportive family is the key to a person's success. It is fascinating to read a history of military wives that begins to give them the credit they deserve for service to their country and their families." Patricia Schroeder U.S. Representative, Colorado "Campfollowing opens an important page in history for the military and for the role of women in the military. The women described in this book were not only devoted wives and mothers who brought a few of the comforts of home to forlorn military outposts, but they were also nurses who cared for the sick and wounded, as well as soldiers who fought bravely next to their soldier-husbands. They served their country with great love, dignity, and honor, and they deserve this long overdue recognition. 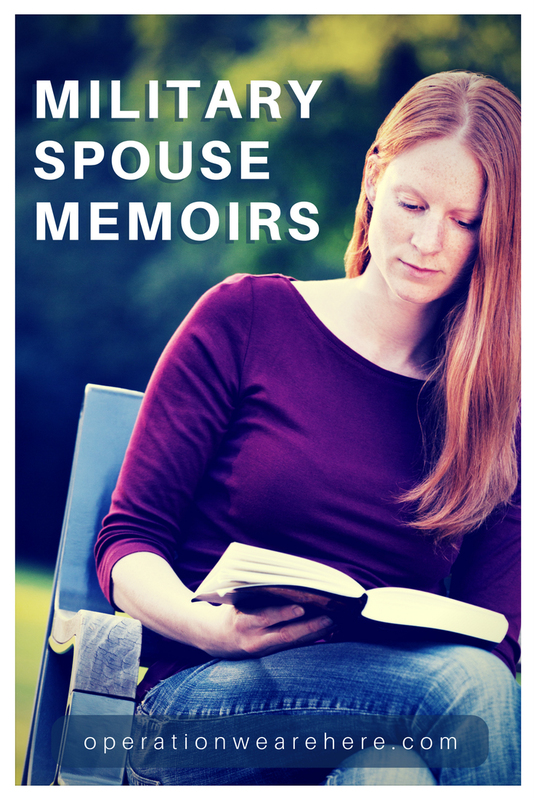 I believe this book will be both an inspiration and a model for present military spouses as they follow their loved ones throughout the world or wait patiently at home for them when they are apart." Timothy E. Wirth U.S. Senator, Colorado "Campfollowers" themselves, the authors of this volume have collected published and unpublished memoirs, diaries, and letters, and have conducted personal interviews to present a comprehensive history of the military wife from the Revolutionary War through the post-Vietnam years. Second in line to their husband's career and often the object of indifference from the military establishment, these women demonstrate the strength of their commitment in this unique book. Taylor Peirce was 40 years old when he left his wife and family to enlist in the 22nd Iowa Volunteer Infantry Regiment. He served for three long years and saw action in both theaters of the Civil War-—ranging thousands of miles from the siege of Vicksburg through engagements in Louisiana, Texas, Georgia, both Carolinas, and the Shenandoah Valley. During that time he saw his wife only twice on furlough, but still stayed in close contact with her through their intimate and dedicated exchange of letters. Both ardent Unionists who hated slavery and revered Lincoln, the Peirces wrote nearly every week over their long separation—-letters that reveal a deep and abiding love for each other, as well as their strong-willed allegiance to the Union cause. Taylor’s letters tell of battles and camp life, drilling and training, brave and cowardly commanders, troop morale, raucous amusements like music and gambling, delinquent paymasters, and his own moral code and motivation for fighting. They include graphic descriptions of the battles around Vicksburg, including vivid details about burning plantation houses, digging canals and trenches, and enduring constant rifle and artillery fire. Catharine, for her part, reported on family and relatives, the demands of being a single mother with three young children, business affairs, household concerns, weather and crops, events in Des Moines, and national politics, filling gaps in our knowledge of Northern life during the war. Most of all, her letters convey her frustration and aching loneliness in Taylor’s absence, as well as her fears for his life, even as other women were becoming widowed by the war. The letters paint an engrossing portrait of a soldier and husband who was trying to do his patriotic and familial duty, and of a wife trying to cope with loneliness and responsibility while longing for her husband’s safe return. Beautifully edited and annotated by prize-winning Civil War historian Richard Kiper, they bring to life a nation under siege and provide a rare look at the war’s impact on both the common soldier and his family. Recipes you can try at home, including Caribbean Catfish, hard tack, and English muffin french toast. You will want to read this book if you have an interest in cooking. Or in eating. Or in history. Or in the military's version of any of the above. An innovative study of naval women who stayed at home while their men went to sea, this book focuses on the second half of the 18th century—a period when Britain was almost continuously at war—and looks at different social groups, from the aristocratic elite to the laboring and criminal poor, from prostitutes to petty thieves. Drawing on a range of material that includes personal letters, trial reports, popular prints, and love tokens, it exposes the personal cost of warfare and imperial ambition. It also reveals the opportunities for greater self-determination that some women were able to grasp, as the responsibility for maintaining the home and bringing up children fell squarely on them in their husbands’ absence. The text includes many voices from the past and throws fresh light on an under-researched aspect of women’s history. Stackpole is proud to introduce the Frontier Classics, a new series that aims to resurrect long out-of-print gems of frontier history. Antiquarian and rare book dealers have previously been the only source for these books, providing first editions for premium prices. Now, these books are available in affordable, quality paperback editions, with new historical introductions written by a leading expert in the field. Ellen McGowan Biddle was the wife of James Biddle, a U.S. Army officer who saw wide service on the frontier. Reminiscences of a Soldier's Wife is a collection of her articulate, astute observations about life in the Army. From Macon, Georgia, to Fort Robinson, Nebraska, Ellen McGowan Biddle followed her husband throughout his career. Throughout her "reminiscences" she relates not only the day-to-day events of her life as an Army wife, but also the excitement, uncertainty, and sacrifice of life on the frontier. ​Although Sam Houston has been the subject 6f several biographies and· many historical articles, little attention has been paid to his third wife, whose enormous influence on the Liberator of Texas has never before been examined closely. In this first biography of Margaret Lea Houston, a remarkable woman is finally awakened from the historical sleep which has enveloped her for over a century. Alabama-born Margaret Lea was just a schoolgirl when she first saw Sam Houston arrive at New Orleans after the Battle of San Jacinto to have his wounds tended. "She later described having a premonition that she would some day meet Sam Houston," says· William Seale. "But she told that story many years later, after she had become his wife." For marry Sam Houston she did–in the face of strong opposition of family and friends and of Houston's friends and advisers. Twenty-six years younger than her husband, this protected child of a Baptist minister set out to change the life of the frontier hero. Aware that alcoholism and the sorrows of personal misfortune weighed upon him, she battled the former and sought to alleviate the latter. Her abiding faith in him, coupled with his unceasing devotion to her and to their children, is a central theme of this book. The author explores the personality of Margaret, the idealist whose absorption in religion often led her to melancholia, the reader of romances who was never able to come to terms with the Texas wilderness, the wife who strummed her guitar and wrote love poems during her husband's absences on affairs of state. This account of Sam Houston's wife, which presents details of the general's life not hitherto explored, is in addition a colorful picture of the time in which she lived. It is a realistic appraisal of Sam and Margaret Houston, to which the author has brought a fresh and sympathetic understanding. In writing the richly human story, he has made extensive use of unpublished manuscripts and original documents in private hands and public archives. "Last night Mel and I were talking about some of the adjustments we'll have to make to our husbands' return. I must admit I'm not exactly the same girl you left--I'm twice as independent as I used to be and to top it off, I sometimes think I've become 'hard as nails'....Also--more and more I've been living exactly as I want to...I do as I damn please." These tough words from the wife of a soldier show that World War II changed much more than just international politics. Many books have been written about those who fought and suffered in Europe and Asia during World War II, but less is known about the private sphere of women on the home front in the United States. With Since You Went Away, Judy Barrett Litoff and David C. Smith illuminate this hidden corner of our history. In Since You Went Away we find letters by factory workers, farmers, and nurses, letters written to husbands, brothers, and even a series to General MacArthur. For each thematic section the editors include a brief introduction, and a capsule portrait of each woman and the man to whom she wrote accompanies the letters. These letters capture both the most intimate details in a woman's life, and the great transformations which society at large was undergoing. As thousands of wives and children joined American servicemen stationed at overseas bases in the years following World War II, the military family represented a friendlier, more humane side of the United States' campaign for dominance in the Cold War. Wives in particular were encouraged to use their feminine influence to forge ties with residents of occupied and host nations. In this untold story of Cold War diplomacy, Donna Alvah describes how these "unofficial ambassadors" spread the United States' perception of itself and its image of world order in the communities where husbands and fathers were stationed, cultivating relationships with both local people and other military families in private homes, churches, schools, women's clubs, shops, and other places. Unofficial Ambassadors reminds us that, in addition to soldiers and world leaders, ordinary people make vital contributions to a nation's military engagements. Alvah broadens the scope of the history of the Cold War by analyzing how ideas about gender, family, race, and culture shaped the U.S. military presence abroad. In April 1969, Linda Moore-Lanning watched her husband, Lt. Michael Lee Lanning, board a Greyhound bus that would take him to a military flight scheduled to deposit him in Vietnam. As he boarded the bus, Lee told her, "It’s only for a year." Moore-Lanning struggled to believe her husband’s words. Waiting: One Wife’s Year of the Vietnam War is the deeply personal account of Moore-Lanning’s year as a waiting wife. The first-ever book from the perspective of a wife on the home front during the Vietnam War, Moore-Lanning’s telling is both unflinching in its honesty and universal in its evocation of the price exacted from those who were left behind. During her "waiting year," Moore-Lanning traveled far, in both distance and perspective, from the small West Texas town of Roby where she had grown up and met her husband. Through her eyes, we experience the agony of waiting for the next letter from Lee; the exhilaration of learning of her pregnancy; the frustration of dealing with friends and family members who didn’t understand her struggles; and the solace of companionship with Susan Hargrove, another waiting wife. Because of her insistence that Lee give her an honest account of his experiences, Moore-Lanning also affords readers a gut-wrenching view of Vietnam as narrated by an infantry commander in the field. Unfolding with the gripping narrative of a novel, Waiting will captivate general readers, while those interested in military history and home front perspectives—especially from the Vietnam War—will deeply appreciate this impressive addition to the literature. In 1964, as the first B-52s took flight in what would become America's longest combat mission, an old Air Force base on the plains of Kansas became Schilling Manor -- the only base ever to be set aside for the wives and children of soldiers assigned to Vietnam. Author Donna Moreau was the daughter of one such waiting wife, and here she writes of growing up at a time when The Flintstones were interrupted with news of firefights, fraggings, and protests, when the evening news announced death tolls along with the weather forecasts. The women and children of Schilling Manor fought on the emotional front of the war. It was not a front composed of battle plans and bullets. Their enemies were fear, loneliness, lack of information, and the slow tick of time. Waiting Wives: The Story of Schilling Manor, Home Front to the Vietnam War tells the story of the last generation of hat-and-glove military wives called upon by their country to pack without question, to follow without comment, and to wait quietly with a smile. A heartfelt book that focuses on this other, hidden side of war, Waiting Wives is a narrative investigation of an extraordinary group of women. A compelling memoir and domestic drama, Waiting Wives is also the story of a country in the midst of change, of a country at war with a war.